Rome, 22 March – Water is synonymous with life and integral to sustainable development around the world. 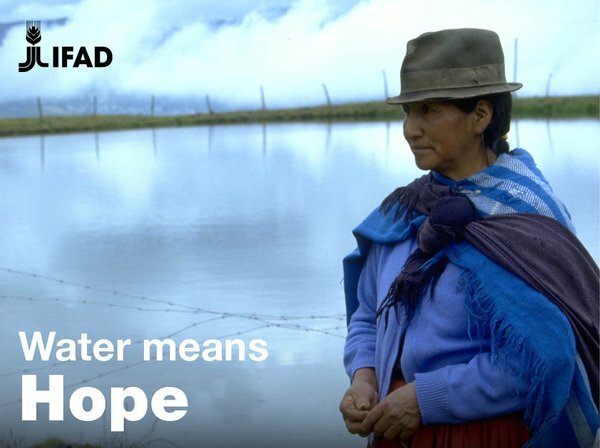 This is why the United Nations General Assembly established World Water Day on 22 March. WWD gives people an opportunity to learn more about water-related issues, be inspired to tell others and take action to make a difference. 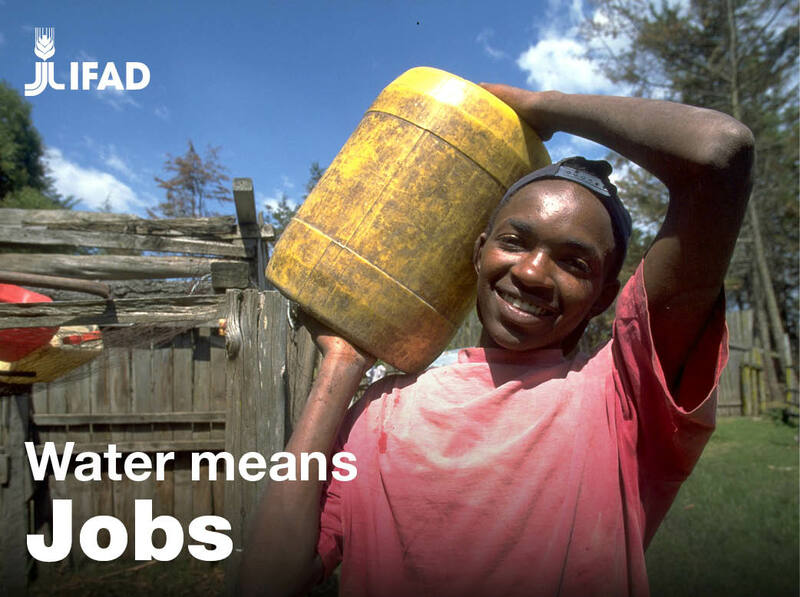 At IFAD, we have highlighted why water is so important to rural people and small farmers. Fetching water is a strenuous, time-consuming, and unpaid responsibility that usually falls to women and girls. Women in many countries spend hours every day walking to retrieve water and transporting it back to their homes. When water is readily accessible, studies show that school enrollment and attainment improves for girls – much more so than for boys. And in some places, women spend more time in market-related activities that earn them money when they don’t have to fetch and carry water. This is why bringing safe water supplies close to family homes water is a crucial step in empowering rural women. Women make up about half of smallholder farmers, yet often are not recognized or paid for their work in the same way than men are. 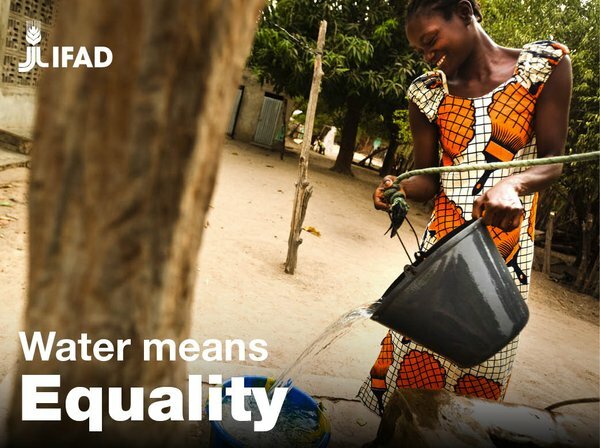 Making water accessible is one way to lessen women's work load and level the playing field. When women have the tools to improve their lives, they show ingenuity and resilience. The Sustainable Development Goals are a diverse list of benchmarks that were agreed upon in 2015. The United Nations is using the 17 goals to end poverty, protect the planet and ensure prosperity for all. Goals 6 and 14 are linked to water. Goal 6 is to ensure safe access to clean water for everyone by combating scarcity, protecting water-related ecosystems, and improve water and saline management. IFAD's work with saline water in Viet Nam is just one example of how we work towards clean water for all. Goal 14 calls for the conservation and sustainable use of the Earth's oceans, seas and other bodies of water. This will not only preserve our water's biodiversity and fight pollution, it will also address the pressing needs of Small Island Developing States. Small islands are very vulnerable to the effects of climate change and the over-exploitation of natural resources, and their communities are often remote, rural and impoverished. IFAD is currently supporting numerous small island projects to help them tap into their potential and build their resilience. As a specialized agency of the UN, IFAD is committed to making the SDGs a reality. These goals are an essential component of making the world a better place for everyone, and water is a crucial part of this solution. Climate change is a daunting challenge for the whole of humanity, yet the poorest people are paying the highest price. Without the environment, we have no future within any industry, most especially agriculture. Smallholder farmers around the globe have to combat extreme weather conditions such as droughts, floods and tropical storms that have a drastic impact on their yields. In addition, hazardous climate conditions affect farmers' abilities to store, process and sell their produce at the market. IFAD is working to ensure that the programmes it funds give small farmers the information, tools and technologies they need to adapt to a changing climate. The Adaptation for Smallholder Agriculture Programme (ASAP) is the largest global financing source dedicated to building their resilience to climate change by channelling climate finance directly to farmers. One project that IFAD is funding through ASAP is strengthening Mozambique's cassava value chain through the use of drought-tolerant, pest-resistant and high-yielding varieties of the plant. Young people have big dreams, and they will often move to pursue them if they think their homes do not offer them the opportunities they seek. Impoverished areas with inadequate water supplies see the young men and women who are their hope for the future migrate away. Communities struggle without their creativity and the energy that would spur development. When safe and reliable water supplies are brought to an area, it is revitalized. Young people will stay and grow with their home as water brings in new opportunities, and with young people comes economic growth, political stability and social harmony. The farmers of the future will have to feed nine billion people. IFAD strives to draw young people into agriculture by providing the tools and training they need to build successful farms and businesses. In the Niger Delta, an IFAD-funded project worked to provide profitable jobs for young people in fish farming. It helped provide over 20,000 jobs, stemming migration and strengthening social stability. Agriculture is dependent on water. Without access to water, farmers will not be able to grow enough food to feed the world's population. About 70 per cent of all freshwater withdrawals are used to irrigate farmlands, and this percentage will need to increase by 10 per cent to feed the world in 2050. Water is especially important to small farms in sub-Saharan African and parts of Asia, which provide up to 80 per cent of the regions' food. As the food industry depends on small farmers, small farmers rely on agriculture. The agricultural sector is the main source of employment and income for many people in developing countries. When crops fail and farmers are unable to work due to restricted access to water and unreliable rainfall, small farmers are forced to abandon their livelihoods. 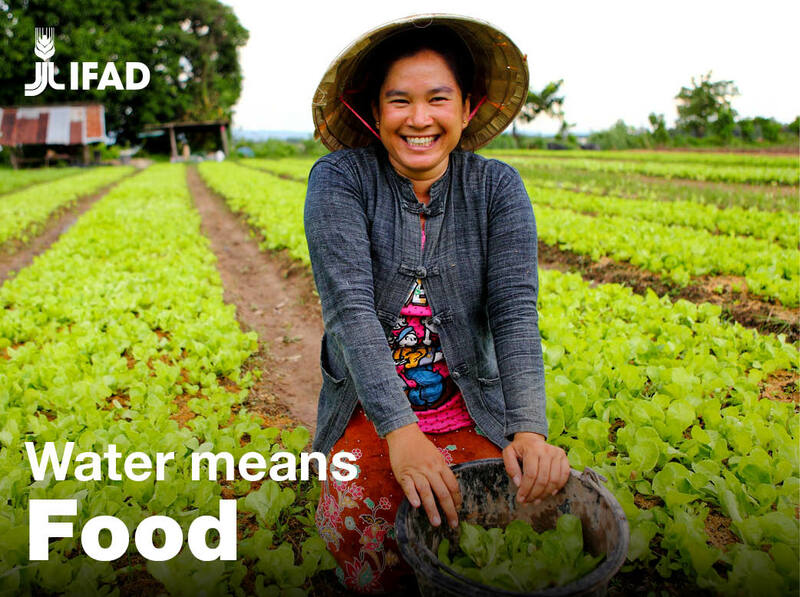 IFAD's mission is rooted in supporting smallholder farmers so they can improve the quality of their lives. 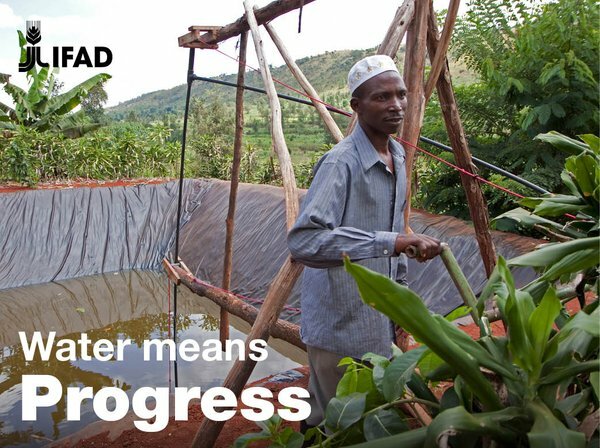 Working with water, like an IFAD-supported project in Ethiopia that helped farmers feed their families, is a vital part of IFAD's work.